Today I’d like to talk about cameras and what kind of camera you should take while traveling. 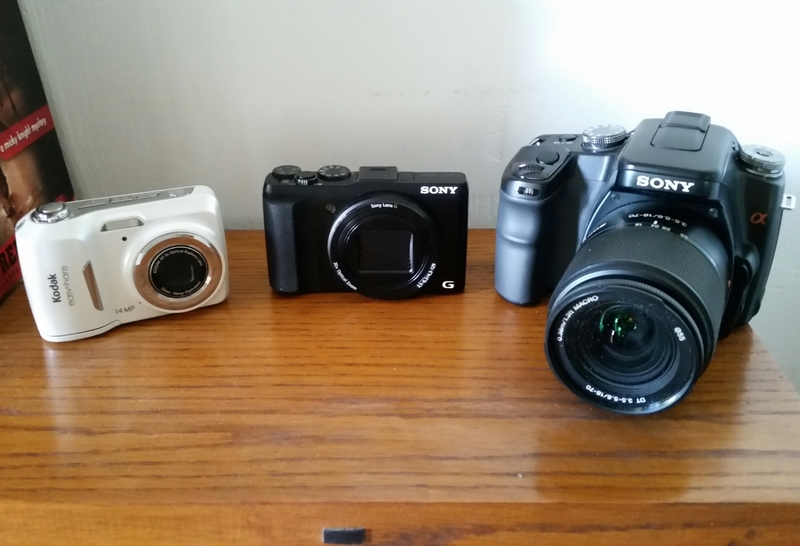 I have used a little point and shoot camera for some of my day trips. 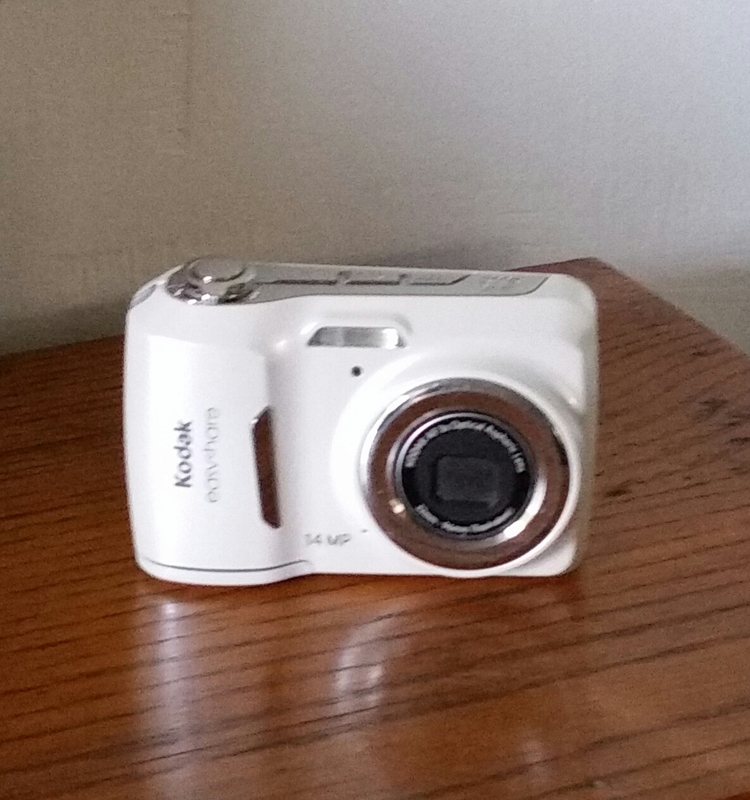 This little Kodak EasyShare retails for about $99 although you may find them cheaper online. The camera’s photos are 14 megapixels which is a nice size for 8x10s. It’s for general picture taking and doesn’t have controls for setting the focus or aperture. While on vacation, I used this camera to take family pictures because my Dad’s camera wasn’t working. We were outside on the deck. The sky was bright behind us. Shooting on auto, you can see that the sky is bright but the people are a little on the dark side. 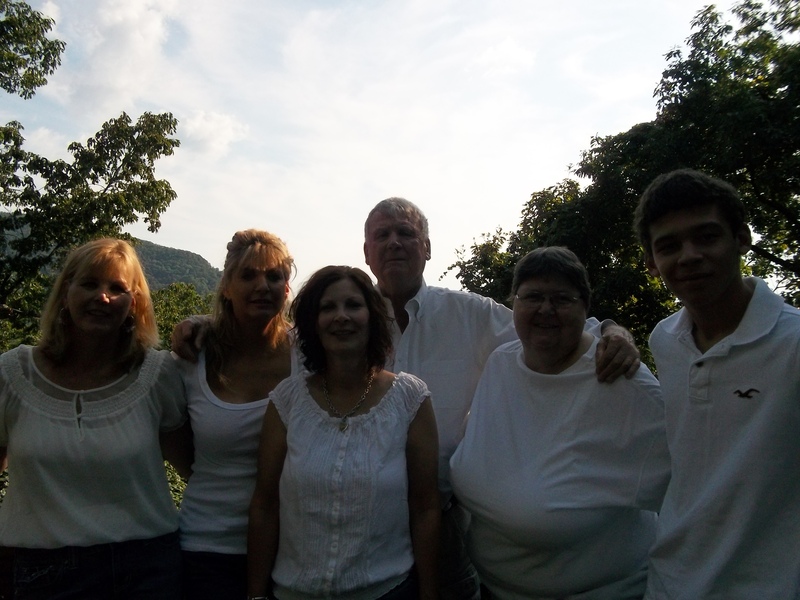 I turned on the flash and used that light as a fill and now you can see the people much better. A digital single lens reflex (DSLR) camera would have allowed me to set the aperture to open the lens. But when you can’t do that, the other fix is to use the flash. 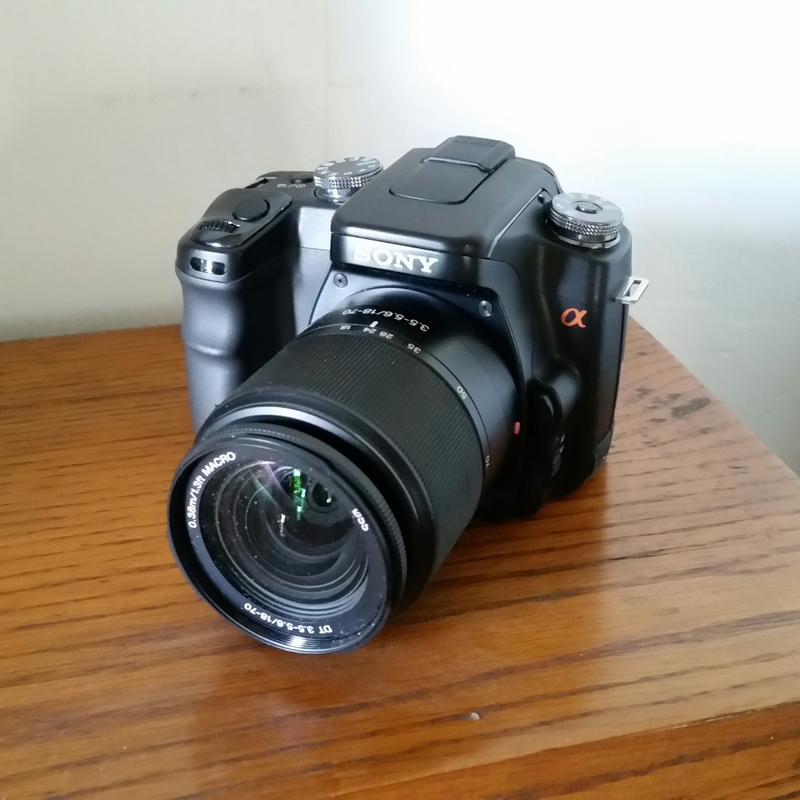 The other camera I use for photography is my Digital Single Lens Reflex (DSLR) camera. It’s much larger than the little Kodak camera. I can control the focus, the aperture, and even the film speed depending on what I am shooting. It record the photo both as a jpeg file or a raw file. The raw file is used in editing photos. 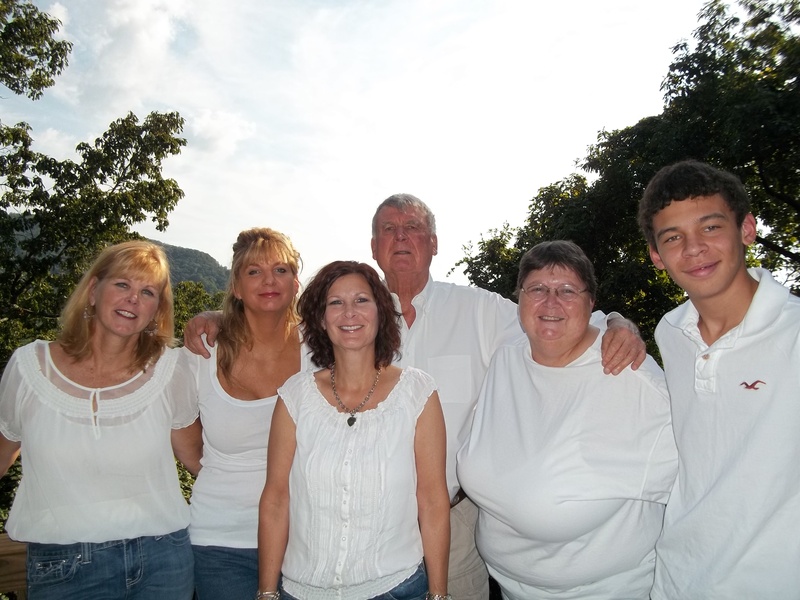 Some advertising agencies prefer a raw file so they can digitally manipulate the photo. 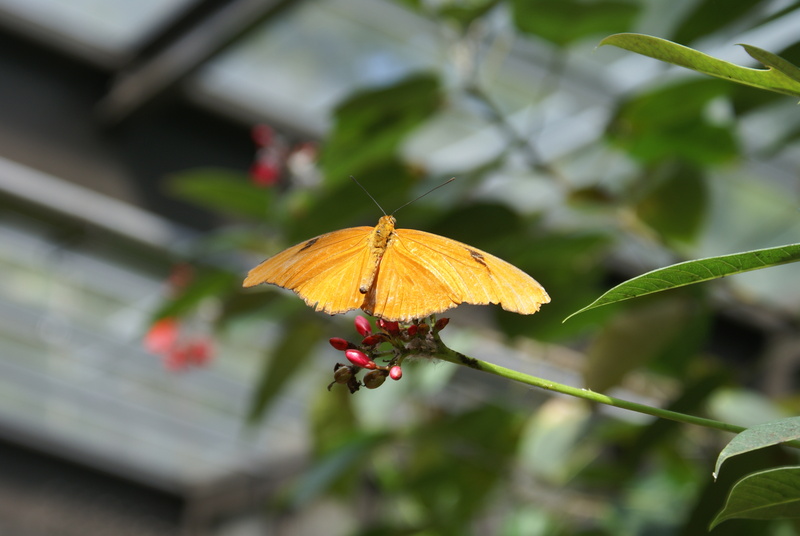 Here is a photo I took with the DSLR of a butterfly at the National Zoo in Washington, D.C. As you can see, the butterfly is in focus and the background is out of focus. If the background were as sharp as the foreground, the butterfly wouldn’t stand out as it does. Recently I found a camera that combines the best of both the DSLR and the little point and shoot. 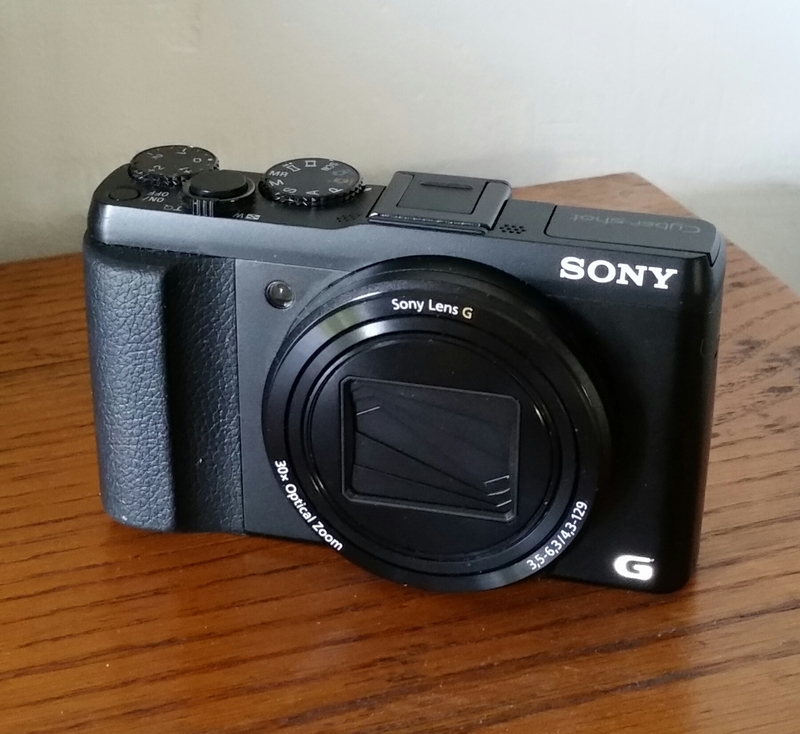 It’s from Sony and they call it “The Travel Companion.” It’s the size of a point and shoot with all the flexibility of a DSLR. You can adjust the focus, the aperture, the film speed just like a DSLR. On Auto, it’s as easy to use as a point and shoot. But this camera also has a GPS stamp for the photos so you can pin-point exactly where the picture was taken. It has WiFi and Bluetooth as well. This camera has a 30 to 1 zoom. 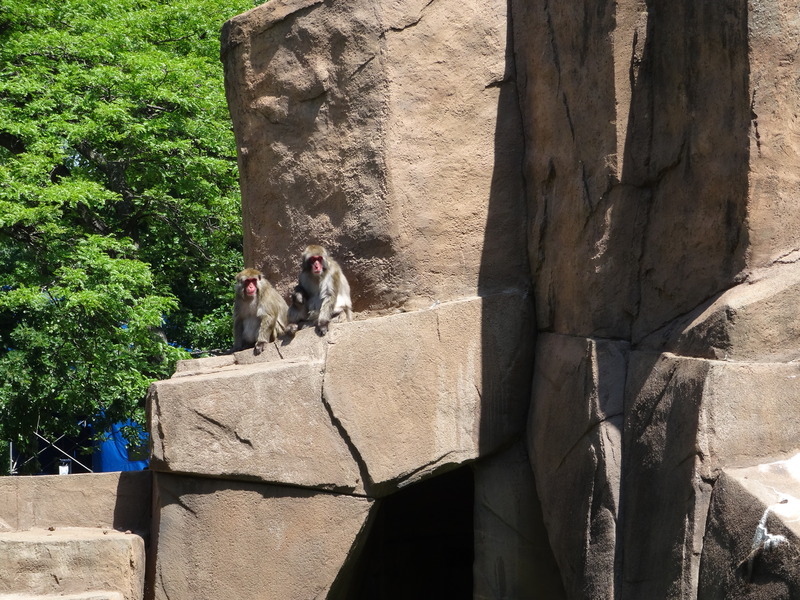 Here’s the long shot and close up of two little monkeys at the Zoo. All of these cameras can shoot video as well as photos. And it really doesn’t matter what camera you use when traveling as long as you can take good pictures. 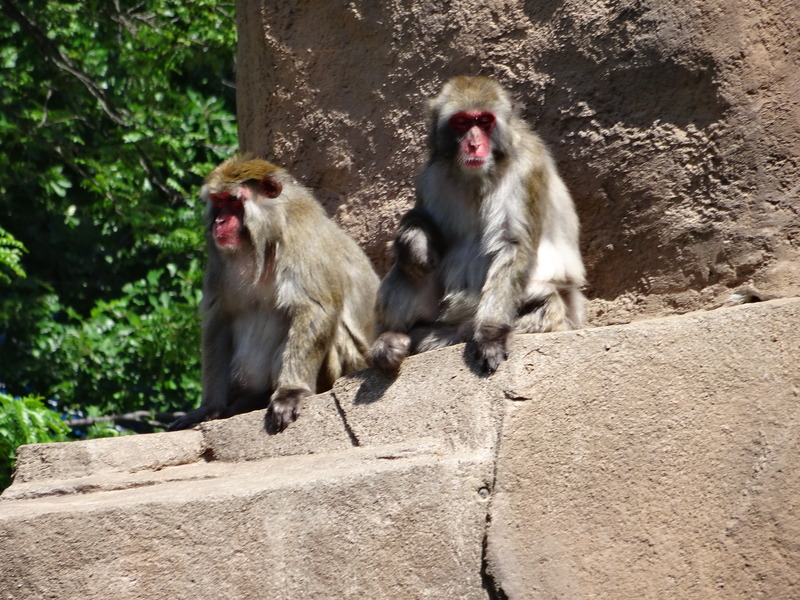 This entry was posted on July 13, 2014 at 12:33 am and is filed under Uncategorized. You can follow any responses to this entry through the RSS 2.0 feed. You can leave a response, or trackback from your own site.